Pizza Hut released it’s perfume as a promotional item and gave it away to random fans. “Introducing Pizza Hut Perfume – a brand new fragrance from Pizza Hut Canada boasting top notes of freshly baked, hand-tossed dough,” reads the press release from Pizza Hut and Yum! Brands. 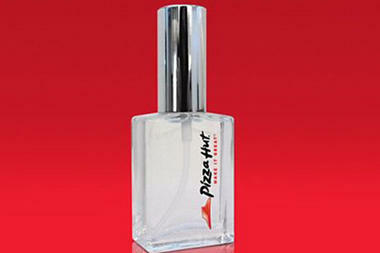 Pizza Hut Perfume really does make you want to see what it actually smells like. It would be a funny joke gift for a secret Santa or gift swap, that’s for sure.